St. Patrick’s Day is on the way! 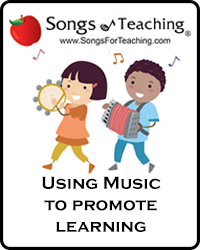 Holidays are a wonderful time to explore both music and world cultures with your young child. Here’s a super-easy kids drum craft for St. Patrick’s Day – a drum that originally was a farm sieve for separating grain! 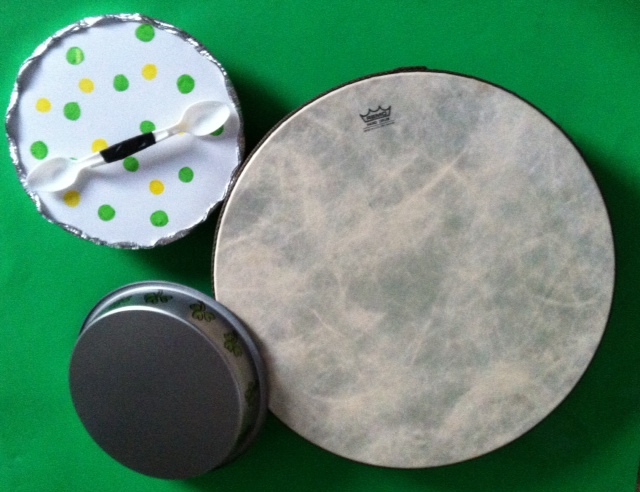 A kid’s size bodhran (pronounced bow-ran) can be easily made from a pie tin or a metal take-out container. And definitely make the “tipper”, too. It’s a special kind of drum beater that is tapped back and forth and it great for teaching motor skills to kids! 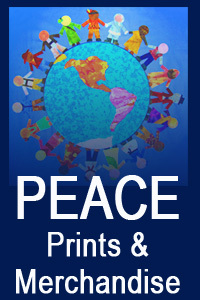 Step-by-step directions can be found in the tutorial below from the TPT website. What do the classic Irish symbols mean? Naturally, you’ll recognize shamrocks as symbols of good luck. 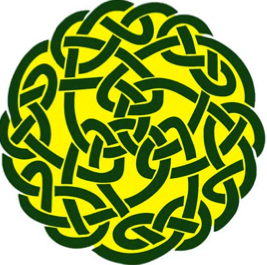 The Celtic Cross often represents religion and spirituality. A harp is often pictured because it is the national instrument of Ireland and the Claddagh (two hands joined by a crowned heart) is a beautiful symbol that represents the bonds of friendship, love and loyalty. Wondering what a bodhran looks or sounds like? Watch these three young boys showing off their formidable drumming and Irish dancing skills. Plus, feel free to check out our round-up of Irish music-related crafts and posts for kids, listed below. It’s wonderful when a “first instrument” is so simple that a child can begin playing melodies and making music right away! 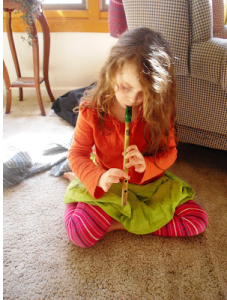 For just this reason, the tin whistle makes a great wind instrument to share with a child – or learn along with your child. Even adults who consider themselves “musically challenged” can surprise themselves with what they can accomplish on this basic instrument. 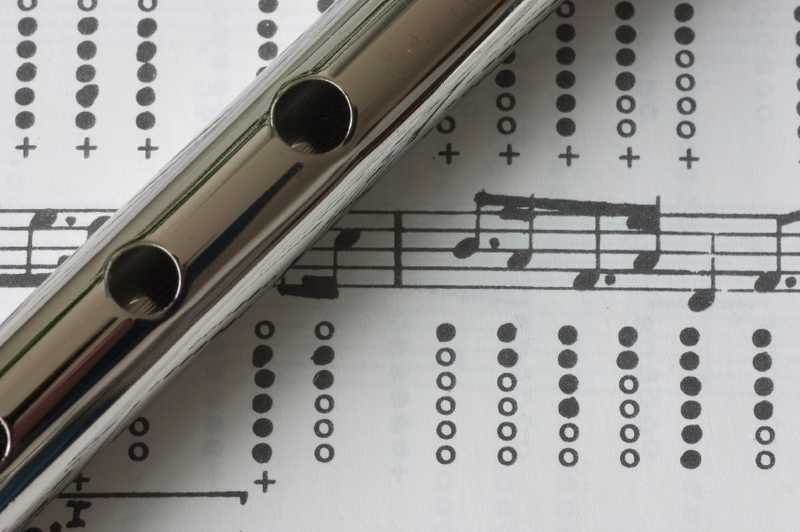 In other words, if you can read a simple chart and place your fingers over the holes of a tin whistle, then you can play this instrument. And, with a little bit of practice, it can sound great! 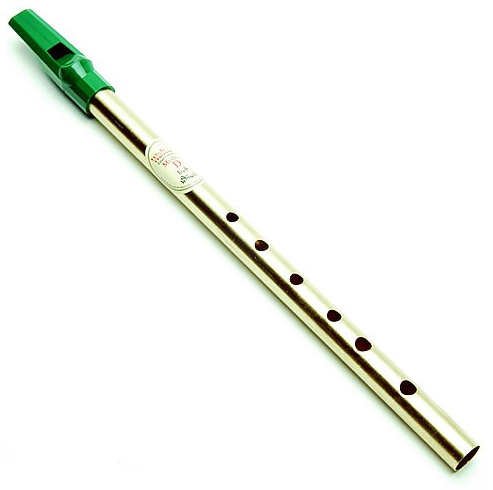 Also known as a penny whistle or an Irish whistle, the tin whistle has a plastic or wooden mouthpiece; called a fipple, and a metal tube for the body. Although they are made in all major keys, the most popular tin whistles are in the key of D and C. Best of all, the fingerings used to play any tin whistle are similar to those used on the clarinet, flute and saxophone, so exploring this instrument can be a wonderful “headstart” for any child who might continue on with other wind instruments in the future. 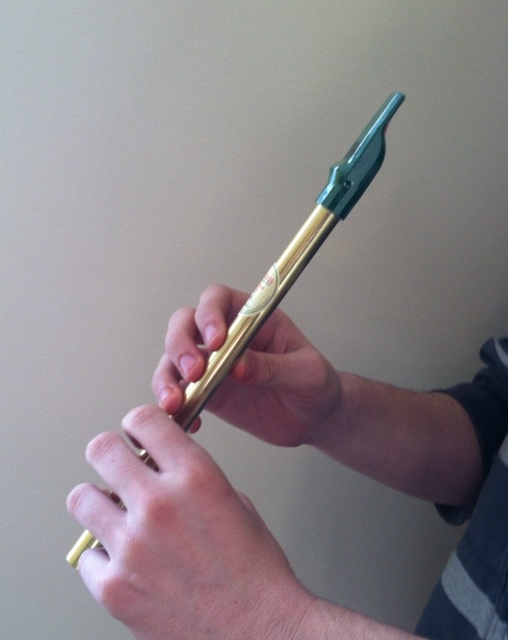 Here are a few tips for playing the tin whistle. First, hold the whistle at a 45 degree angle, facing downward and away from you. If you’re right-handed, put that hand on the bottom and use your left hand on the top. If you’re a lefty, reverse that order. Thumbs hold the whistle from below and you cover the six holes with your fingertips. Let Your Fingers Do The Walking! Once you’ve found the right way to blow a note, begin removing your fingers starting at the bottom and going to the top (until they all are uncovered). You’ll hear the difference in the sound and you can begin to play these notes to form your own melodies. 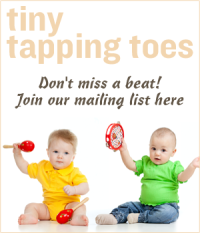 From there, you can jam with your tin whistle or learn to play specific melodies. You can try some advanced techniques like blowing a bit harder and getting a second octave (a set of higher notes) out of your tin whistle. You can try different whistles in different keys or look for books that share your favorite songs or traditional Irish music which is perfectly suited to this simple folk instrument.